This past week in both the classes I’m teaching this semester, we played around with embodied pedagogy. In Religious Studies, this is no easy thing. “Experiential learning” may be all the rage, but I’m not about to sacrifice a bull in my classroom or ask Buddhist students to participate in the Eucharist. Moreover, many of us believe quite strongly that Religious Studies is not about experiencing religion from the inside but about objectively examining religion as an outside observer. Embodied pedagogy, however, need not mean becoming the people we study. 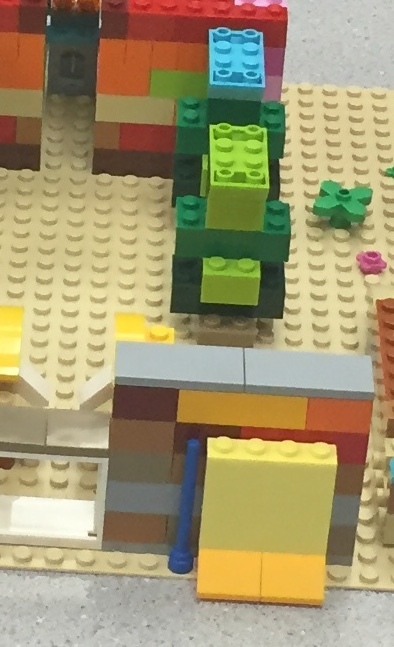 Tuesday, in my Religion of the Pharaohs class, we built temples with Legos. Students had read chapters 3 & 4 (about temples and festivals) in Emily Teeter’s wonderful new book Religion and Ritual in Ancient Egypt. I then lectured briefly on the structure of New Kingdom temples and the ways they replicated the moment of creation: the vegetative columns, the east-west axis following the course of the sun, etc. Even the floor rises slightly as one progresses through, imitating the emergence of the benben stone—the primordial mound that rose from the watery abyss of Nun at the moment Atum created the world. We also viewed and discussed video reconstructions from the UCLA Digital Karnak project about the Karnak and Luxor Temples in Thebes and two major festivals connected to those temples: the Opet Festival and the Beautiful Feast of the Valley. The previous week, we’d read Teeter’s chapter on communicating with the gods, including oracles. Plus earlier in the semester, we’d read Kara Cooney’s The Woman Who Would Be King and had discussed her treatment of the oracle of Amen that declared Hatshepsut King at a festival. 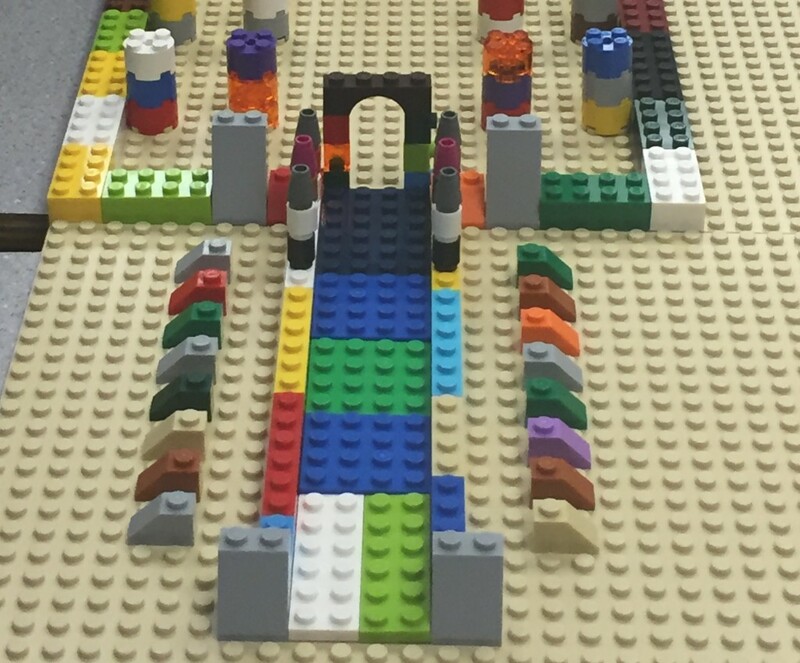 So in the second half of class, I brought out the Legos and instructed students to create a temple or components of an ancient Egyptian temple. They were divided into three groups, each group with a box of Legos. All the temples ended up slightly different. I worried the activity would be frivolous. 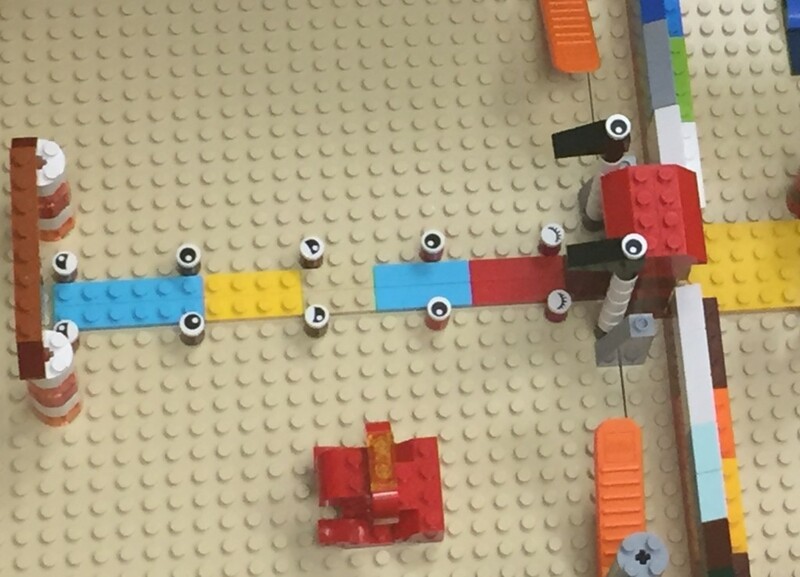 Instead, I heard students discussing the shapes of the pylons, the best way to use their Lego bricks to create obelisks, where to place the sacred lake, and how to make their hypostyle halls resemble papyrus and lotus reeds. How do you create a street lined with rams-headed sphinxes when all you have are 800 little plastic pieces? One group used the small, asymmetrical quadrilaterals. While another used round pieces topped with eyes. 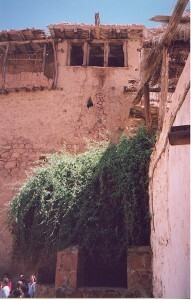 Some groups focused on the sanctuary. This group also tried to create an actual sphinx-shaped sphinx. When the giggling commenced, after a declaration that the sphinx was “cute”, I pressed them: why make a “cute” sphinx? Would Egyptians have thought their sphinxes “cute”? They reassessed what they were doing. One group really focused on the barque shrines for the divine statues. While another on creating a hypostyle hall and sanctuary. This group also was committed to making a crocodile, since we’d read several Egyptian stories about dangerous crocodiles. When I asked whether there really would be a crocodile in a sacred temple lake, they shrugged. The readings had impressed upon them the importance of the crocodile. So I named it Sobek (of course), and he was placed in the lake. After the activity, I was convinced that my students will remember ancient Egyptian temple features and ritual purposes of those features better than if we had simply discussed the readings. One student said she thought you really had to know what a temple was like to be able to reconstruct it. I was less interested in attempts to recreate a perfect temple than in the process. 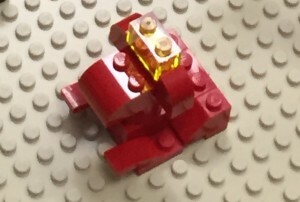 I thought the Lego medium and its imperfections worked well. 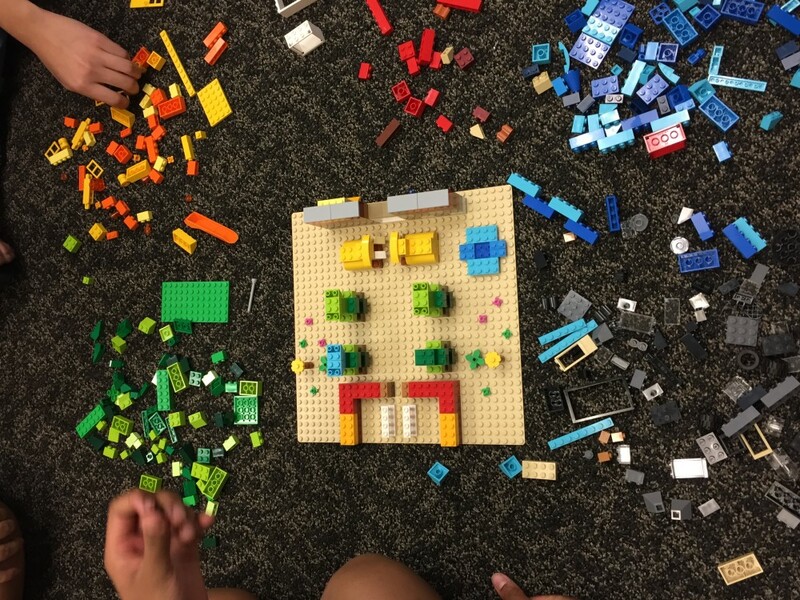 Students had to negotiate between the their vision of a temple (based on site plans in their books, the photographs of the reconstructed ruins I showed them, and 3d renderings on Digital Karnak) and the practicalities of the little plastic bricks. The limits of Lego forced them to think about which features they wanted to emphasize, and which they were willing to let go. 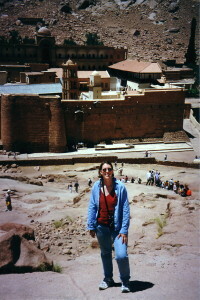 On Thursday, my Christianity class was studying pilgrimage. We read the fourth century pilgrim Egeria’s account of her trip to the holy land as well as Gregory of Nyssa’s letter against pilgrimage. (Gregory thought all Christians, but especially weak women, susceptible to temptation on the road, could find God where they already were.) Both texts are in our course book, Christianity in Late Antiquity, edited by Andrew Jacobs and Bart Ehrman. The last time I taught the course, I sent students around campus to different locations with meaning to the history of the institution. I gave them a pilgrimage journal to take notes on their reflections. Our first stop was the graffiti rocks on campus. 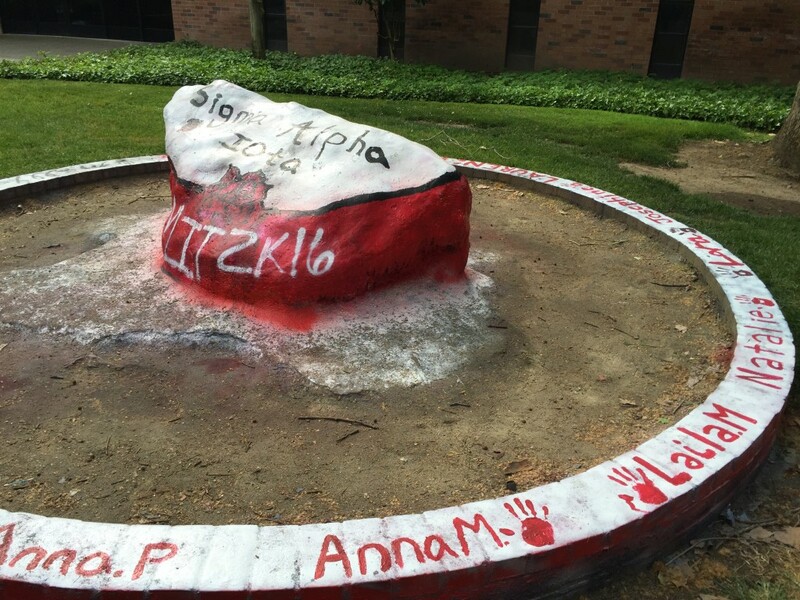 These are sort of free-speech rocks, where student groups typically paint them over in the middle of the night. From what I understand, there are some rules for the rocks; they are not totally “free-speech” rocks. Students aren’t supposed to guard them once they’ve painted them. They should paint the entire rock and not modify or deface parts of the rock. At this stop, I ask students to reflect upon why they travel, what they get out of travel, and what they and Egeria take from the places they visit or leave behind at the places they visit. This morning, students who painted the rock happened to put the date of the year on it as well as their own names and hand prints on the cement blocks surrounding the rock. What a tangible example of how people leave behind traces of themselves at places meaningful to them. We were able to discuss why these students and ancient and medieval pilgrims who visited sites meaningful to them left their marks on these places. When we hit stop two, columns in front of the library, students all performed the ritual expected of them in this space: stand in the middle of the columns, speak, and hear the columns “throw” your voice back at you. One student tried to record the echo on his cell phone but couldn’t. This led him to reflect on the need to experience the place in person; one couldn’t understand the space without being there him or herself. The last time I taught this course, a campus tour came through. The tourguide dutifully told prospective students and their parents the history of the columns and the ritual of standing in the middle and listening to one’s echo. We had a great time comparing the campus tour to Egeria’s accounts of the holy people and priests she met at different stops on her tour—people whose words were important to Egeria’s understanding of the places and the things she visited. This year, one group of students headed to fraternity row instead of the columns. The cue on the Pilgrimage Journal instructed them to head to the place on campus that most resembled ancient Greek ruins. This other group read “Greek” and thought “fraternities!” I didn’t catch up with them, but they tell me they talked about initiation ceremonies in response to the question on the Pilgrimage Journal about rituals. When we all met up at the end, we pondered differences and similarities between monasteries and fraternities. The last stop was the GHES Commons — the Gender, Humanities, and Ethnic Studies Commons in the building where I have my office. None of my Christianity students had ever heard of the Commons before. This was fantastic for pedagogical purposes. Because they had to ask the staffer what the space was. He also offered them hot chocolate and coffee when they came in. So we talked afterwards about how meaning-making is dependent upon interpretation: their knowledge and experience of that space was almost entirely mediated by the words of the priest–I mean student staffer–who was their guide. PLUS they experienced temptation—mmm, hot chocolate. This day has come to be one of my favorite class sessions. Students really get into it, and the conversations often lead us to places they wouldn’t have had we been in a classroom. One issue is disability access. In an inclusive classroom, how do we justify walking around campus? First of all, we don’t actually go very far. The distance we walk is shorter than the distance to their dorms if they live on campus. But additionally: Gregory gives us an out. According to Gregory, Christians should not travel to try to find God. If they read scripture and pray, Jesus will find THEM wherever they are. So, students can have the option of sitting at the start/end point of the pilgrim tour and working on the worksheet without walking around. And then we can see whether there is a difference. 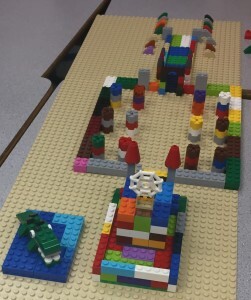 This entry was posted in RELI104, RELI130, Teaching, University of the Pacific and tagged christianity, Egypt, lego, materiality, pacific, pedagogy, pilgrimage, teaching. Bookmark the permalink. ← The Nefertiti Hack: Digital Repatriation or Theft?